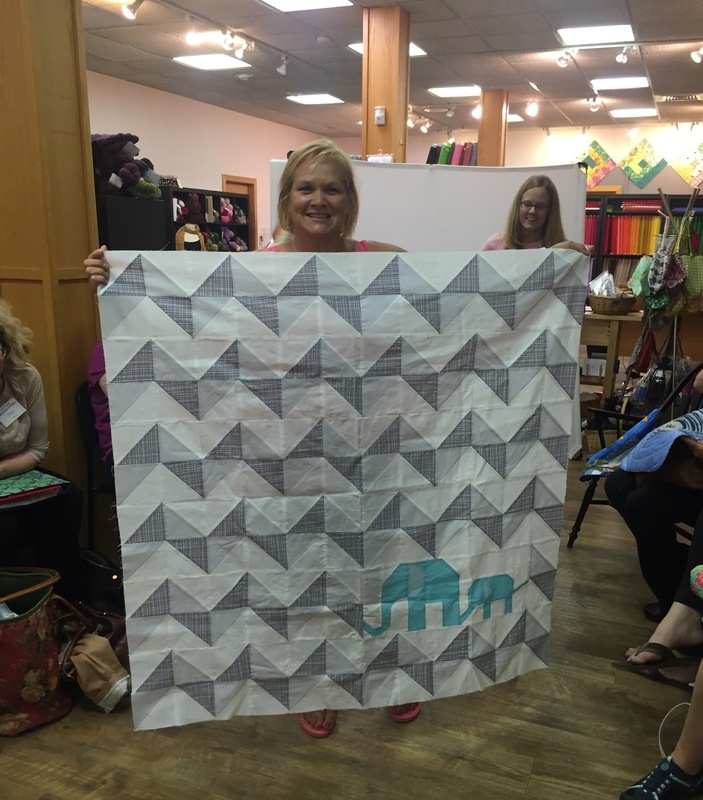 June's meeting was pretty awesome! 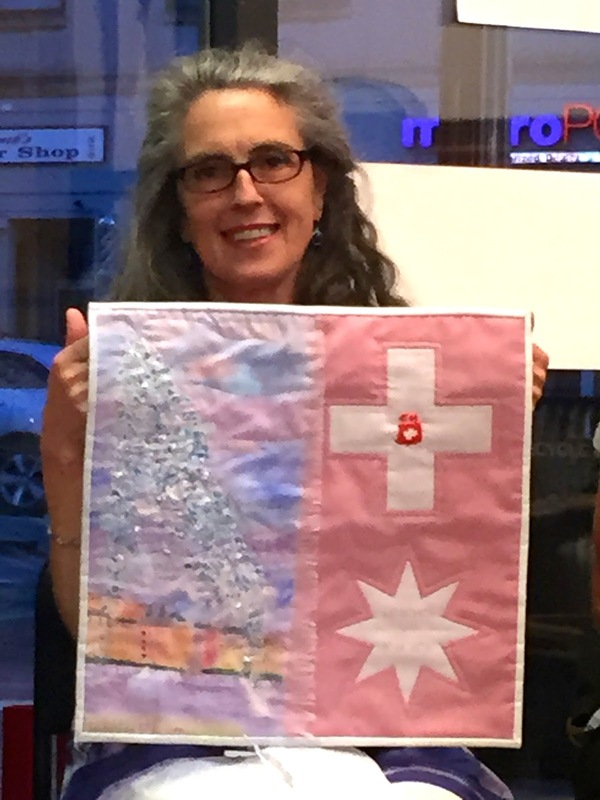 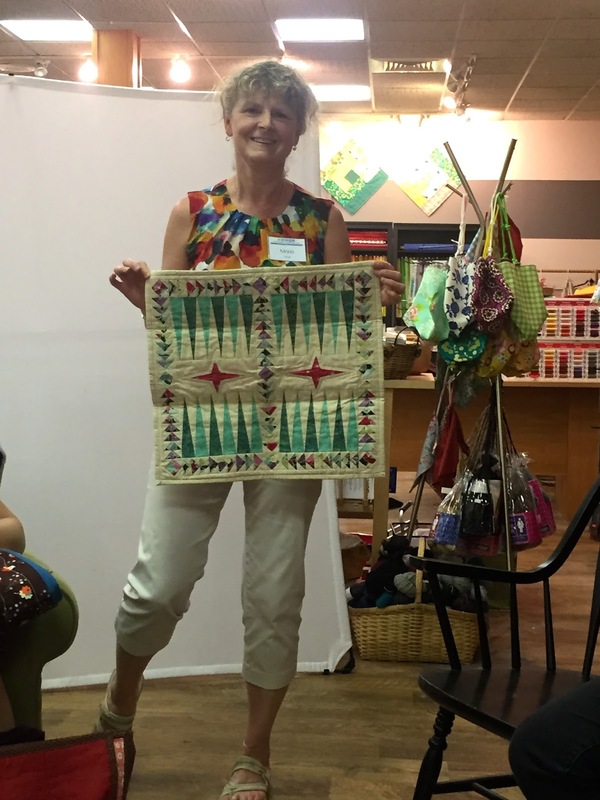 We had sign ups for the Jacquelyn Gering class in Oct. We signed up for October retreat and we also had sign ups for a shop hop in Sept. Our board member Trish has been very busy getting all these activities together for us....Thank you. 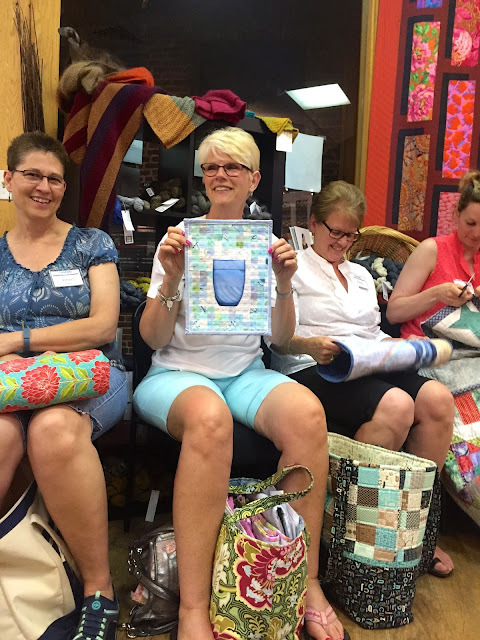 If you weren't able to sign up for retreat or the shop hop please get in contact with her. 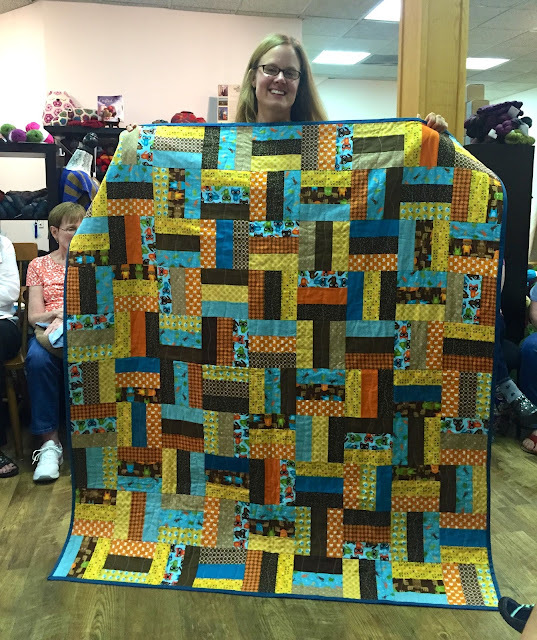 Michelle - tried her hand at appliqué and did a great job. 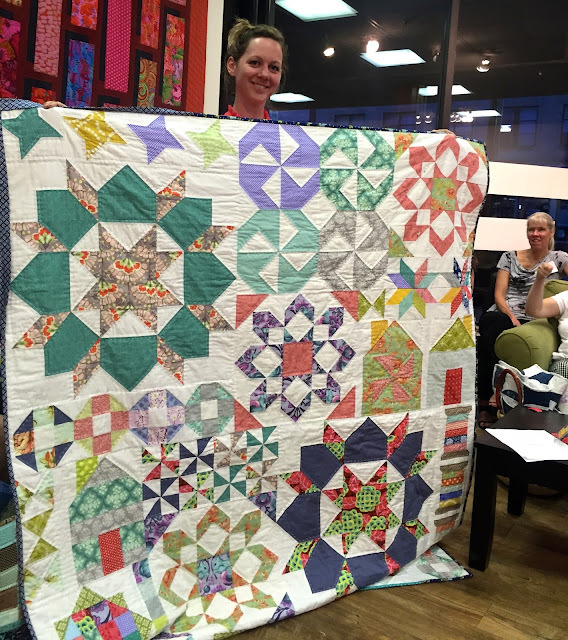 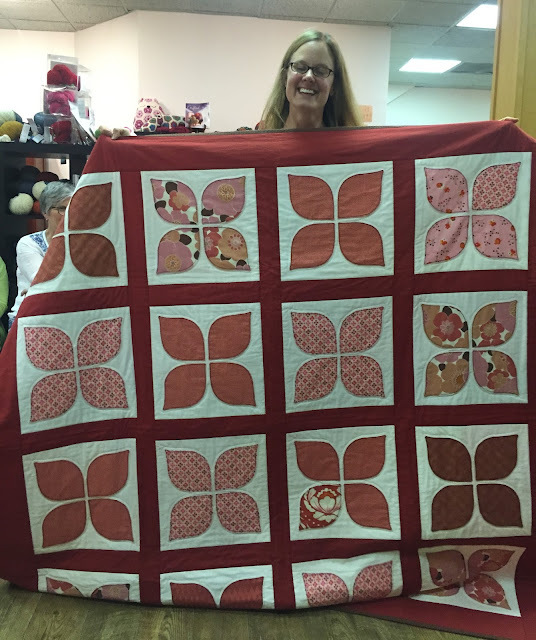 She also cut, pieced and quilted this quilt! 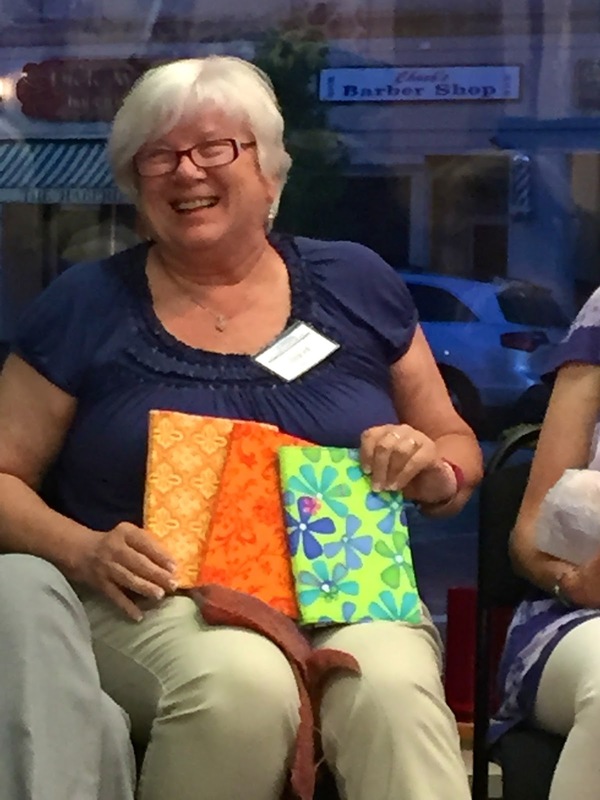 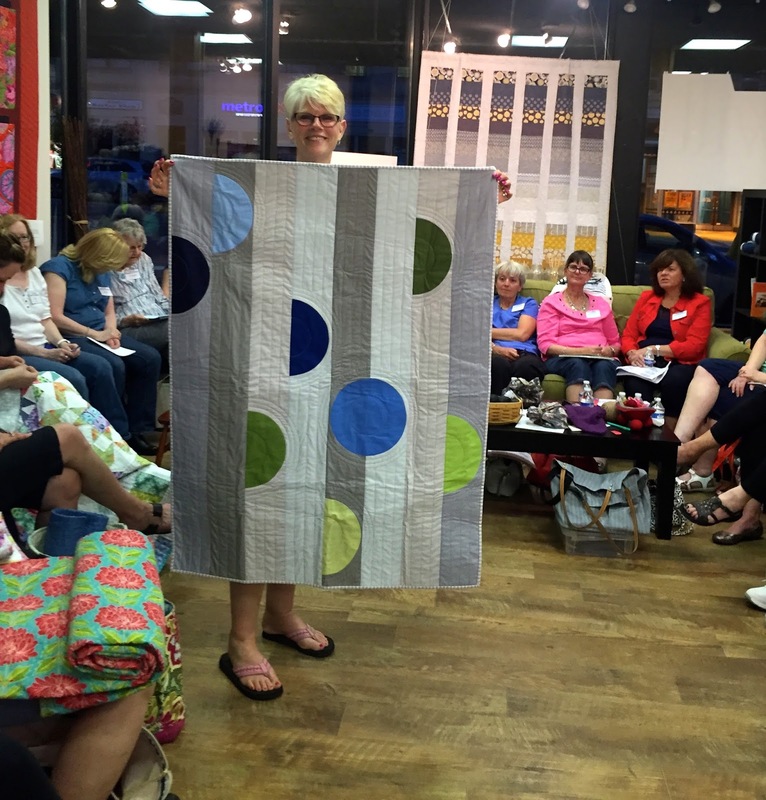 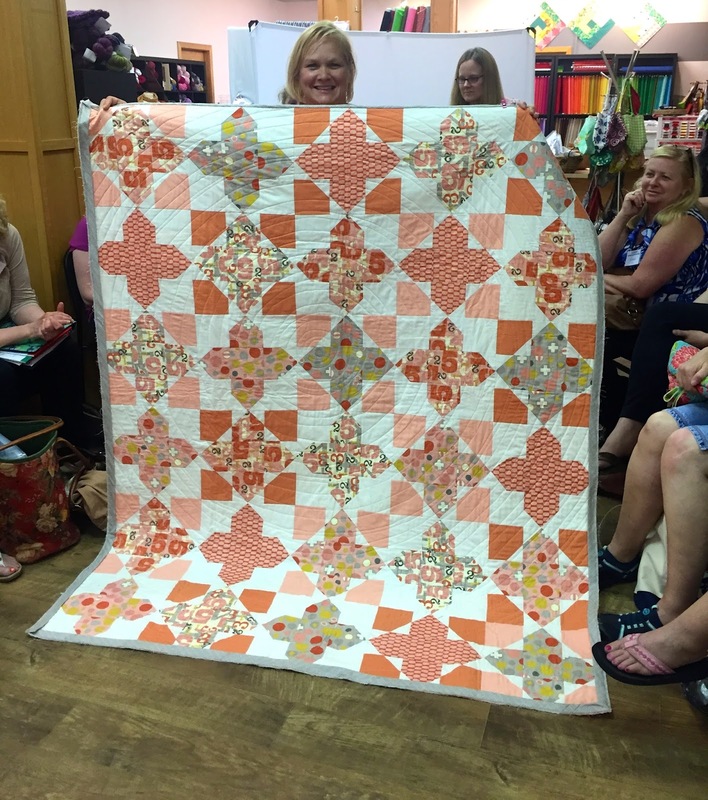 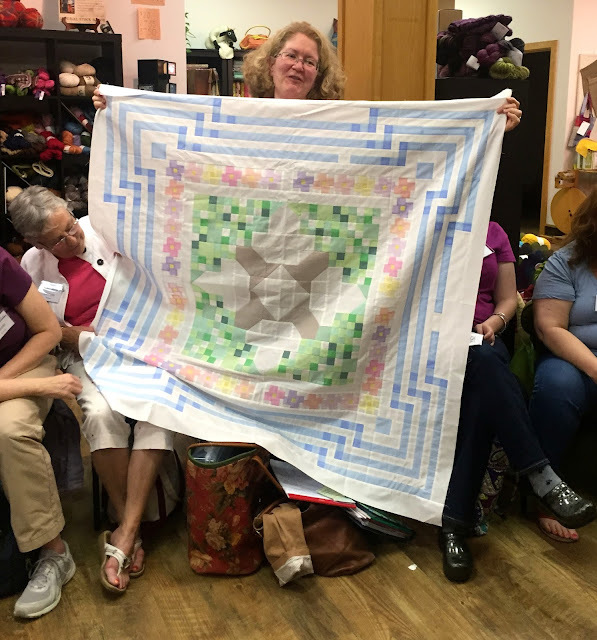 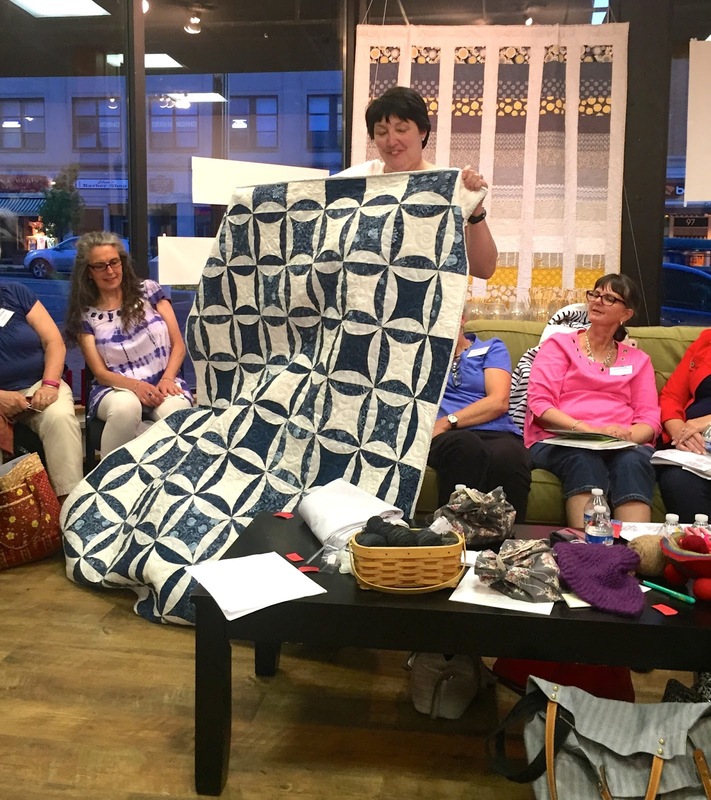 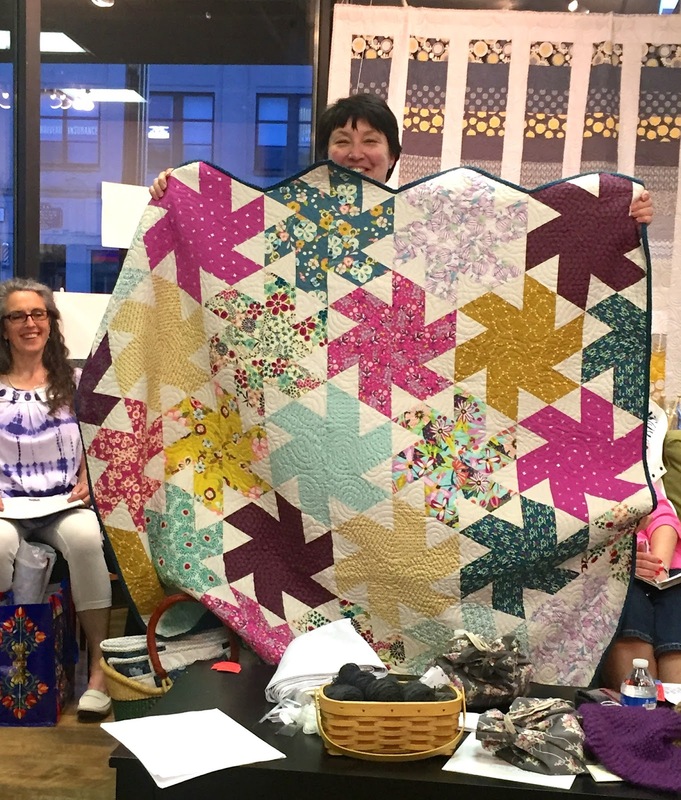 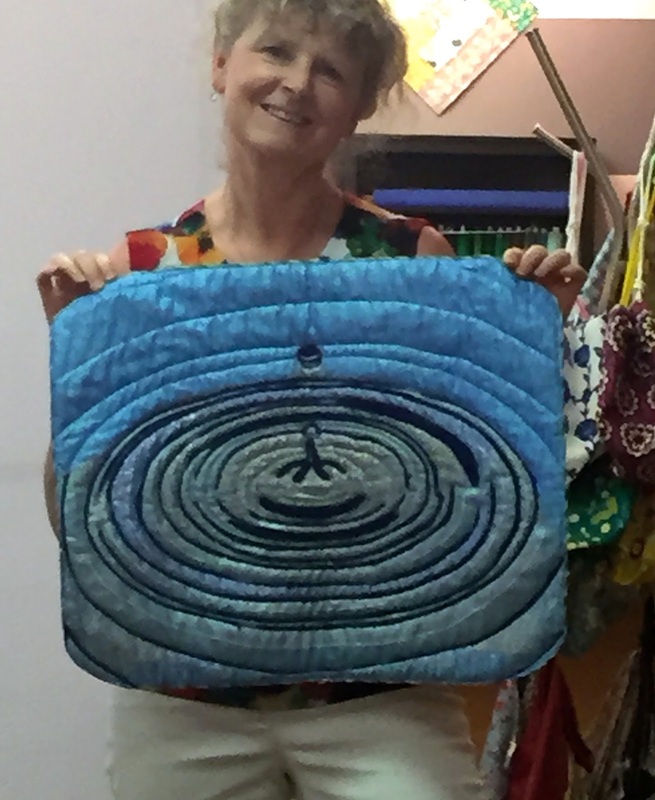 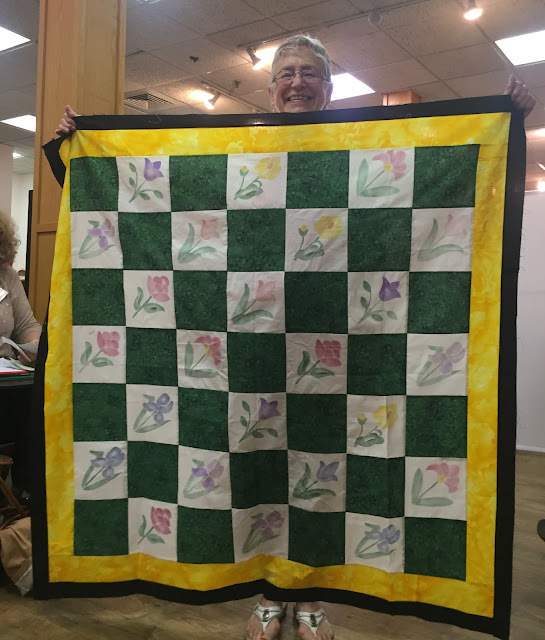 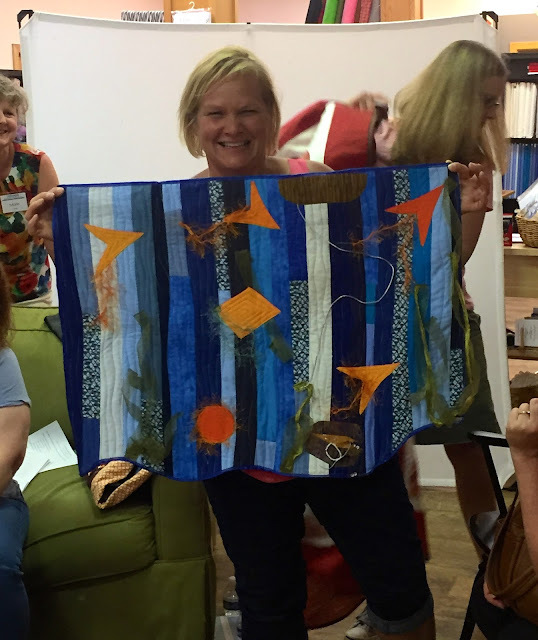 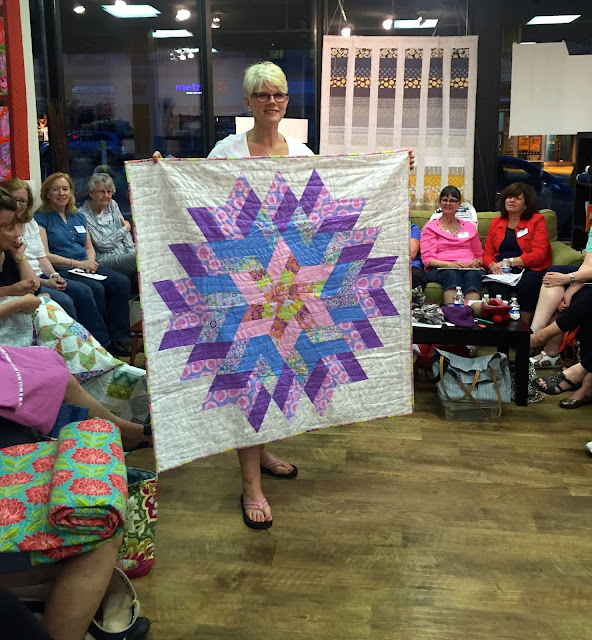 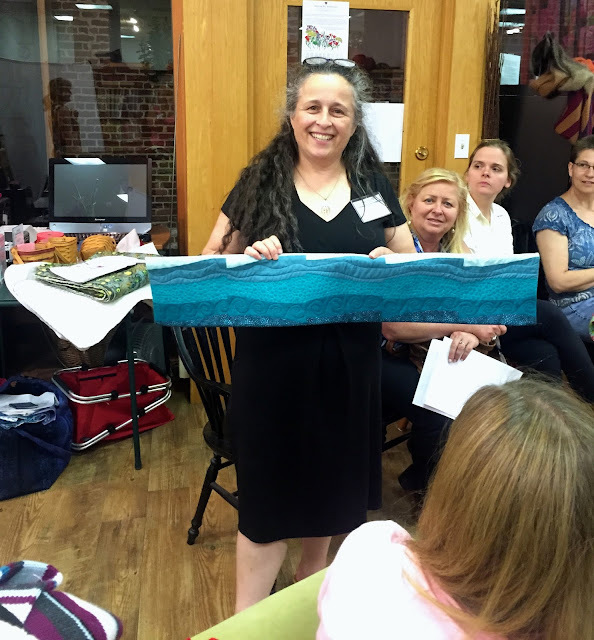 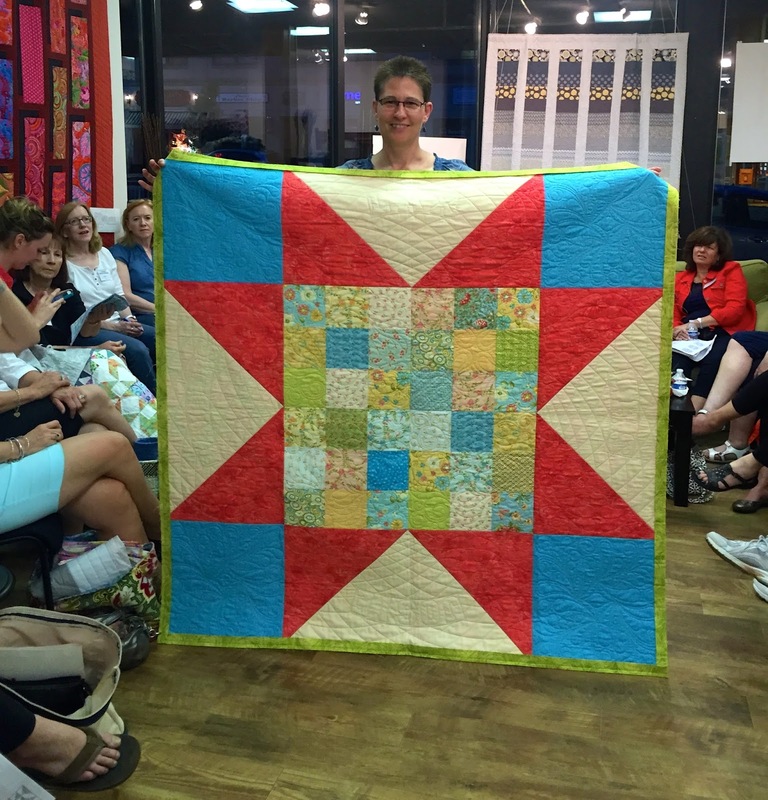 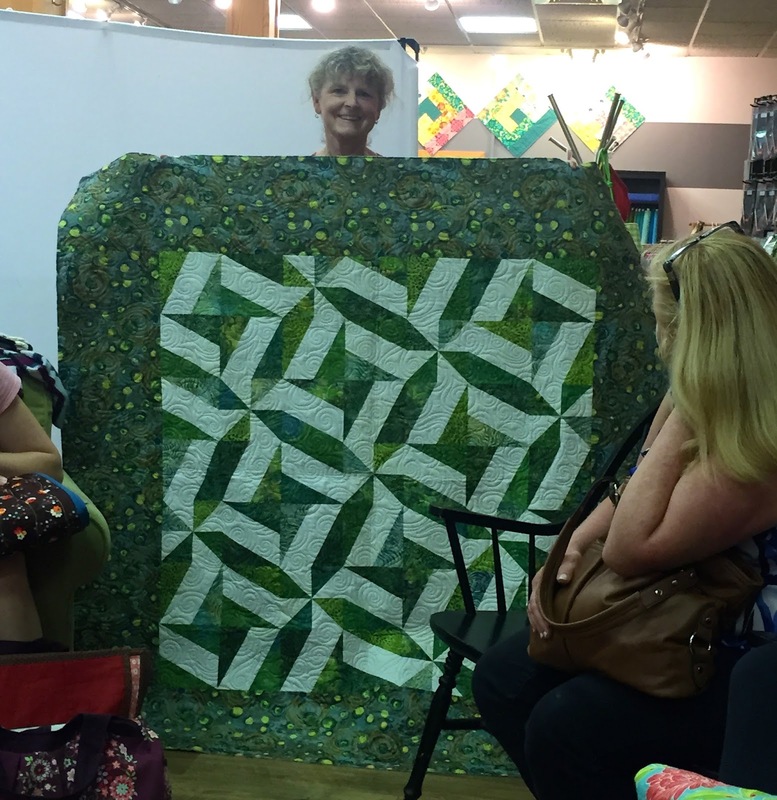 Simone designed a Row by Row water quilt for "Twill"